I’ve always enjoyed drawing and painting since I was very young. I took 4 years of art in high school and some art classes at WSU. I paint with acrylics, but also enjoy working with mixed media. I’ve done many gifts and special requests for family and friends. The intention of my paintings and photographs is to capture the beauty in the world around us. 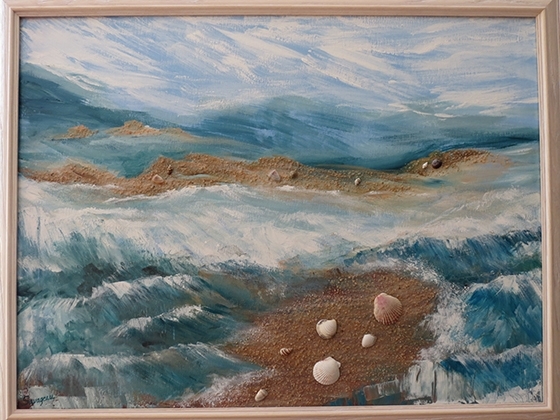 I enjoy painting animals and landscapes and have a special fondness for horses and the ocean. I use the elements of art with colorful strokes to capture the emotion through the subject. I draw inspiration from my own photography, and I am influenced by all kinds of art, music and everything that surrounds us.